Complete Management Services is here to help you find the perfect property rental in St. Cloud, whether it is a condo, apartment or single-family home. We are also ready to assist homeowners and property investors through the rental process, connecting you with the renter you are looking for! St. Cloud MN: a great place to live! Complete Management Services offers rentals and property management services! St. Cloud is a charming city with the largest central-region population in the state. 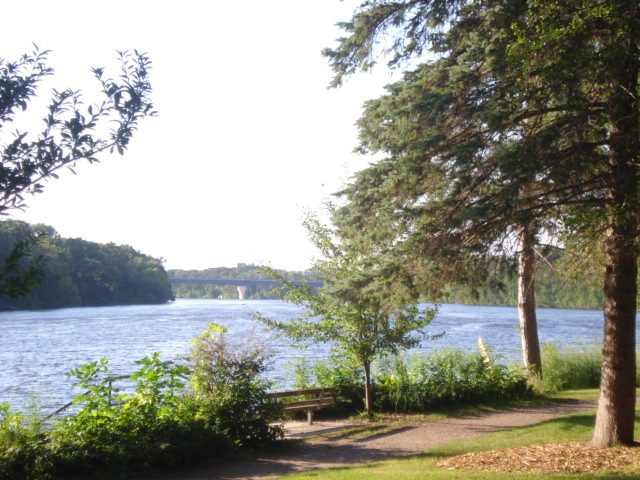 Natural beauty abounds as the Mississippi river winds its way through the city from Sauk Rapids to St. Cloud State University and south. St. Cloud is situated in Stearns County, with portions of the city crossing into Benton and Sherburne counties. Directly bordering St. Cloud you will find Waite Park, Sauk Rapids, Sartell, St. Joseph, and smaller cities with lots of character and charm, Rockville and St. Augusta. Nearby locations with a more resort-like feel are Foley, Rice, Kimball, Clearwater, Clear Lake, Cold Spring, Richmond and Paynesville. In these outlying areas you will find camping, nature trails, lakes (including the Horseshoe Chain of Lakes in Richmond) and many other outdoor activity opportunities to enjoy. In downtown St. Cloud there are approximately 30 undeveloped islands that are a perfect spot for Kayak and Canoe lovers; this area is part of a state-designated 12-mile stretch of wild and scenic river. St Cloud is located 65 miles northwest of the Twin Cities along Interstate 94, US Highway 10 and State Highway 23. Rents: Rents for homes are much more affordable in this area than the Twin Cities. Rents for average size homes range approximately $1000-1500 and town homes start even less, around $850 and up. St. Cloud and surrounding areas have the allure of the country with a secluded feel, yet offer all the conveniences of a large city. Local Attractions: Crossroads Center is a shopping mall located within city limits of St Cloud. The mall has five anchor stores: Macy’s, JCPenney, Sears, Target and Scheels All Sports. The mall offers many other nationwide chain retailers as well as restaurants and fast food. According to GreatSchools.org the following are top rated schools in the area: Oak Hill Elementary School, South Junior High School, Technical Senior High School, Apollo Senior High School, and Westwood Elementary. For Investors: If you are a property owner or investor in the St. Cloud area, we can assist you in renting your home, townhome or residential property. In this growing area, your property can be rented quickly with affordable pricing and the help of the Complete Management Services team! Contact Complete Management Services at 612-998-3034 or 612-251-3223 for more information. We are here to help you today! Complete Management Services is a residential property management services provider serving the Minneapolis, St. Paul and Twin Cities MN suburbs. Call Wendy at 612-998-3034 or Cherlyn (Cheri) at 612-251-3223!